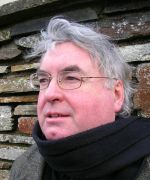 Huntly Writers host a playwriting workshop with George Gunn, well known to writers in the North-East from his time as writer-in-residence to Banff and Buchan District. George Gunn was born in Caithness and lives in Thurso. He founded the Grey Coast Theatre Company in 1992 and with them has produced many plays and educational projects. In the 1970s and 80s he worked in the fishing industry and in the North Sea oil industry. His first play on that theme, Roughneck, was performed at the Traverse Theatre, Edinburgh in 1984. He has written over twenty stage plays, plays for BBC Radio Scotland and Radio 4. He has also written and presented several series, such as Coastlines and Islands for the same. He tutors in drama at the North Highland College (University of the Highlands and Islands).